This knock-out dish from Chef Rich Francis tastes just as good as it looks. If savoury-sweet's your thing... Jackpot! Outstanding, ancestral-based recipes brought to you by some of the masters (after your auntie, of course). Time to get cookin'! This beautiful vegetarian recipe packs BIG flavour with just a few ingredients. Simple, satisfying, and totally Instagram-worthy. Enough said! Set aside the squash, and combine all other ingredients. 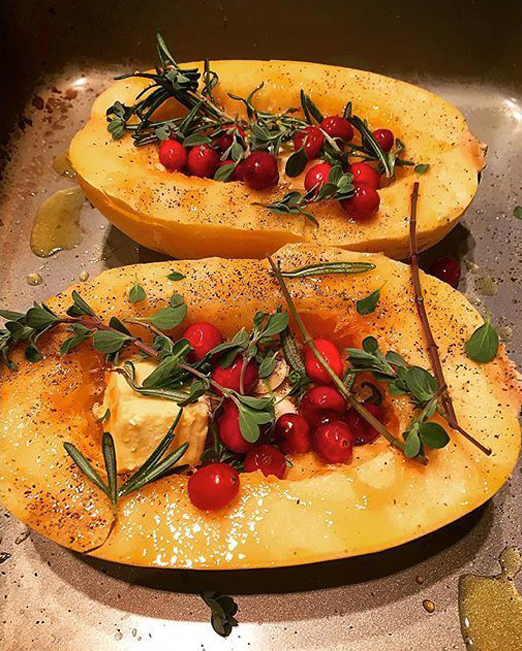 In a roasting pan, put half the ingredients in one half of the squash, repeat with the other half. Roast for 35 minutes or until caramelized, golden brown and cooked through. 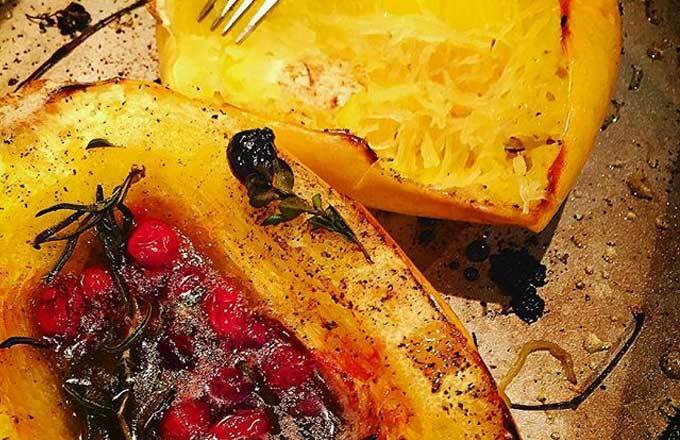 Scrape the squash with a fork and serve immediately. Chef Rich Francis is a celebrated presence in culinary and Indigenous circles across Canada. He was a runner-up on Top Chef Canada 4, and is now introducing the world to The 7th Fire - Indigenous Grill. This restaurant, rooted in the 7th Fire Prophecy, is a departure in more ways than one.